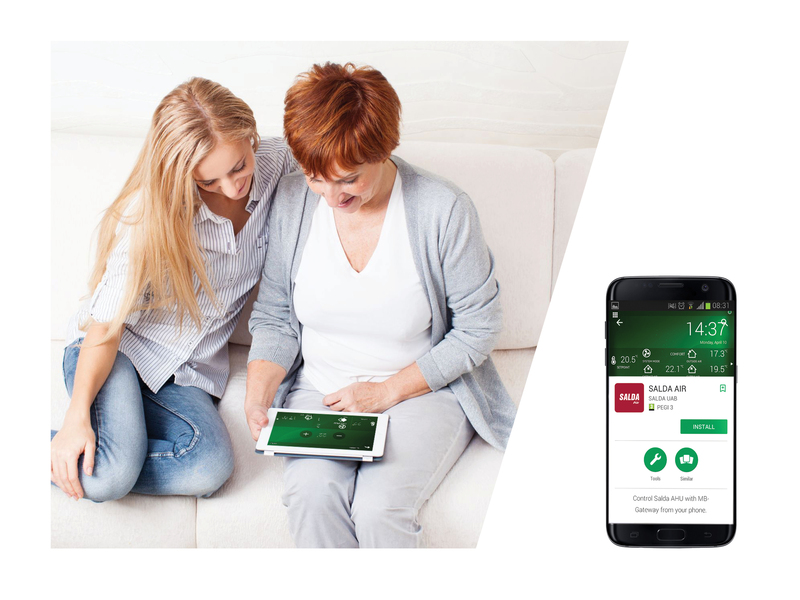 SALDA AIR mobil app ger dig möjlighet att styra SALDAs luftbehandlingsaggregat direkt från din Smartphone eller surplatta. Produktvalsprogram med 3D modellering för modulaggregat. 2019-03-22 Version 5.12.18 Changes: 1. AmberAir range. FläktWoods fans dll have been updated to version 4.8.1.9d. GMEC-3 new ordering codes ending ..01 (old: ..00). The spider construction has been updated. 2. AmberAir range. Heatex rotary heat exchangers dll have been updated to v516. The performance data of all rotary heat exchangers have been updated. 2019-03-06 Program updated to Version 5.12.17 build 1 Fixes: 1. Small fixes. 2019-03-01 Version 5.12.17 Changes: 1. AmberAir range. Added possibility to select condensing gas-fired heaters (from 5-KR unit size). Heaters capacity up to 360kW. 2. AmberAir and AmberAir Compact range. The logic for choosing the temperature control point RMG for water heater and cooler has been changed. 2019-02-22 Program updated to Version 5.12.16 build 1 Fixes: 1. Small fixes. 2019-02-15 Version 5.12.16 Changes: 1. AmberAir range. Hoval rotary and plate heat exchangers dll have been updated to v2.0.3.0. This affects rotary heat exchangers efficiency. Also bug with wrong pressure drop for plate heat exchangers was fixed. 2. AmberAir and AmberAir Compact range. HeatRun heat exchangers dll have been updated to v1.7.1.0. Bugs fixes. 3. AmberAir Compact range. Frames material for panel filters changed to galvanized steel. 2019-01-23 Program updated to Version 5.12.15 build 3 Fixes: 1. Small fixes. 2019-01-23 Program updated to Version 5.12.15 build 2 Fixes: 1. Small fixes. 2019-01-08 Program updated to Version 5.12.15 build 1 Fixes: 1. Small fixes. 2019-01-04 Version 5.12.15 Changes: 1. AmberAir range. Zhiell-Abegg fans dll have been updated to v1.01 (181214). Power input for direct-driven fans with AC motors was adjusted with AC technology tolerance limits. 2. AmberAir range. Belt-driven centrifugal fans have been discontinued. 3. Small fixes. 2018-12-14 Version 5.12.14 Changes: 1. AmberAir and AmberAir Compact range. The electric heater calculation logic has been changed. 2. AmberAir range. Fan section with small plug fans length was slightly increased. 3. Small fixes. 2018-12-11 Program updated to Version 5.12.13 build 1 Fixes: 1. Small fixes. 2018-12-07 Version 5.12.13 Changes: 1. AmberAir and AmberAir Compact range. Pocket filters classes and data was adjusted for ePM1 and ePM2.5 filters according to measurements results at independent certified laboratory. ePM2.5 60% became ePM2.5 65%, ePM2.5 80% became ePM2.5 90% and ePM1 75% became ePM1 85%. 2. AmberAir and AmberAir Compact range. Recutech heat exchangers dll have been updated to v7.0.0. This affects efficiency of heat exchangers. 3. Small fixes. 2018-11-23 Program updated to Version 5.12.12 build 1 Fixes: 1. Small fixes. 2018-11-16 Version 5.12.12 Changes: 1. AmberAir and AmberAir Compact range. HeatRun heat exchangers dll have been updated to v1.7.0.0. Added possibility to calculate heating coils with negative water temperature out. 2. Small fixes. 2018-11-13 Program updated to Version 5.12.11 build 4 Fixes: 1. Small fixes. 2018-11-09 Program updated to Version 5.12.11 build 3 Fixes: 1. Small fixes. 2018-11-02 Program updated to Version 5.12.11 build 2 Fixes: 1. Small fixes. 2018-10-26 Program updated to Version 5.12.11 build 1 Fixes: 1. Small fixes. 2018-10-22 Version 5.12.11 Changes: 1. AmberAir and AmberAir Compact range. HeatRun heat exchangers dll have been updated to v1.6.8.0: minor internal fixes. 2. Small fixes. 2018-10-18 Program updated to Version 5.12.10 build 1 Fixes: 1. Small fixes. 2018-10-12 Version 5.12.10 Changes: 1. AmberAir range. Energy Recovery counter flow heat exchangers dll have been updated to v1.0.3.67. Bugs fixes. 2. Small fixes. 2018-10-05 Program updated to Version 5.12.9 build 2 Fixes: 1. Small fixes. 2018-10-02 Program updated to Version 5.12.9 build 1 Fixes: 1. Small fixes. 2018-09-28 Version 5.12.9 Changes: 1. AmberAir range. Selection of gas-fired heaters no more available. 2. Small fixes. 2018-09-25 Program updated to Version 5.12.8 build 1 Fixes: 1. Small fixes. 2018-09-21 Version 5.12.8 Changes: 1. AmberAir range. Heatex rotary heat exchangers Q2A, Q2E, Q2K (divided) have been discontinued. 2. AmberAir range. Luvata heat exchangers dll have been updated to v9.5.14.0. This affects prices. 3. Small fixes. 2018-09-19 Program updated to Version 5.12.7 build 1 Fixes: 1. Small fixes. 2018-09-14 Version 5.12.7 Changes: 1. AmberAir range. Fisair evaporative humidifier dll have been updated to v3.2.5. This affects prices. 2. Small fixes. 2018-09-07 Version 5.12.6 Changes: 1. Selection of Flex remote control no more available with MCB control system. 2. Small fixes. 2018-09-03 Program updated to Version 5.12.5 build 1 Fixes: 1. Small fixes. 2018-08-24 Version 5.12.5 Changes: 1. AmberAir range. Added possibility to select direct-driven centrifugal fan with EC motor from FlaktWoods (from 3-KR unit size). 2. AmberAir range. FläktWoods fans dll have been updated to version 4.8.1.5d. This affects fans sound data. 3. AmberAir range. Heatex rotary heat exchangers dll have been updated to v515. This affects efficiency of wheels with 1.4mm gap. 4. Small fixes. 2018-08-22 Program updated to Version 5.12.4 build 2 Fixes: 1. Small fixes. 2018-08-17 Program updated to Version 5.12.4 build 1 Fixes: 1. Small fixes. 2018-08-10 Version 5.12.4 Changes: 1. AmberAir range. Selection of direct-driven centrifugal fan with EC motor no more available in 2-KR size unit. Choose direct-driven centrifugal fans with EC motors wall instead of it (with motor voltage 1~230V). AmberAir range. Added selection of direct-driven centrifugal fans with EC motor wall selection for 1-KR size units (with motor voltage 1~230V). AmberAir range. Sections lengths adjusted for direct-driven centrifugal fans with EC motor wall. 2. Small fixes. 2018-08-06 Program updated to Version 5.12.3 build 1 Fixes: 1. Small fixes. 2018-08-03 Version 5.12.3 Changes: 1. Performance corrections have been made according Eurovent ModelBoxes tests results: - MD50+ thermal bridging factor class changed to TB2; - Changed acoustical insulation values for SD50, MD50 and MD50+ casings. 2. Small fixes. 2018-08-02 Program updated to Version 5.12.2 build 5 Fixes: 1. Small fixes. 2018-07-30 Program updated to Version 5.12.2 build 4 Fixes: 1. Small fixes. 2018-07-27 Program updated to Version 5.12.2 build 3 Fixes: 1. Small fixes. 2018-07-25 Program updated to Version 5.12.2 build 2 Fixes: 1. Small fixes. 2018-07-23 Program updated to Version 5.12.2 build 1 Fixes: 1. Small fixes. 2018-07-20 Version 5.12.2 Changes: 1. AmberAir range. Added possibility to select direct driven fans with EC motors wall. 2. AmberAir range. RAL 7035 and RAL 9005 colors no more available for external panels. 3. AmberAir range. Hoval rotary and plate heat exchangers dll have been updated to v2.0.2.0. 4. Small fixes. 2018-07-13 Version 5.12.1 Changes: 1. Added possibility to select new remote control panel SA-Control with MCB controller. 2. AmberAir range. The direct-driven centrifugal fans can be selected with new higher efficiency ZAbluefin impellers (071, 080, 090, 100 and 110 size with IE3 motor). Thus Zhiell-Abegg fans dll have been updated to v1.01 (180712). 3. AmberAir range. Added possibility to choose in settings, which motor to use by default for direct-driven centrifugal fan: IE2 or IE3. 4. Small fixes. 2018-07-11 Program updated to Version 5.12.0 build 2 Fixes: 1. Small fixes. 2018-07-10 Program updated to Version 5.12.0 build 1 Fixes: 1. Small fixes. 2018-06-29 Version 5.12.0 Changes: 1. AmberAir range. Pre-filters and pocket filters has been changed. From now on, the filter classes correspond to the new filter standard ISO 16890. For customer convenience, the brackets indicate the filter's equivalent according to the old standard EN 779. Since filter materials have been changed, the pressure drop for new filters differs from the old ones. 2. PRV selection not be available from 2018-07-01 2018-06-22 Program updated to Version 5.11.1 build 2 Fixes: 1. Small fixes. 2018-06-13 Program updated to Version 5.11.1 build 1 Fixes: 1. Small fixes. 2018-06-08 Version 5.11.1 Changes: 1. AmberAir range. HeatRun heat exchangers dll have been updated to v1.6.7.0: a. Fixed heaters error, which sometimes calculated negative humidity value; b. Increasing the accuracy of the heater calculation by replacing the water step from 5% to 1%. 2. Small fixes. 2018-06-05 Program updated to Version 5.11.0 build 1 Fixes: 1. Small fixes. 2018-06-01 Version 5.11.0 Changes: 1. AmberAir range. Added possibility to select counter flow heat exchangers from new supplier: Energy Recovery. New counter flow heat exchangers available for all unit sizes. 2. AmberAir Compact range. Added possibility to select unit with rotor heat exchanger. Available only size 7. 3. Small fixes. 2018-05-29 Program updated to Version 5.10.1 build 4 Fixes: 1. Small fixes. 2018-05-28 Program updated to Version 5.10.1 build 3 Fixes: 1. Small fixes. 2018-05-22 Program updated to Version 5.10.1 build 2 Fixes: 1. Small fixes. 2018-05-22 Program updated to Version 5.10.1 build 1 Fixes: 1. Small fixes. 2018-05-18 Version 5.10.1 Changes: 1. AmberAir range. Added possibility to select DBM heat recovery coils with polyester-coated aluminium fins. 2. Small fixes. 2018-05-16 Program updated to Version 5.10.0 build 4 Fixes: 1. Small fixes. 2018-05-11 Program updated to Version 5.10.0 build 3 Fixes: 1. Small fixes. 2018-05-09 Program updated to Version 5.10.0 build 2 Fixes: 1. Small fixes. 2018-05-08 Program updated to Version 5.10.0 build 1 Fixes: 1. Small fixes. 2018-05-04 Version 5.10.0 Changes: 1. AmberAir range. ModelBoxes changed. Now it is possible to choose four different ModelBoxes: - SD50+ (profiles without thermal bridge, polyurethane foam insulation), - SD50 (profiles with thermal bridge, polyurethane foam insulation), - MD50+ (profiles without thermal bridge, rock wool insulation), - MD50 (profiles with thermal bridge, rock wool insulation). It is possible to choose default ModelBox type in program settings. 2. AmberAir range. HeatRun heat exchangers dll have been updated to v1.6.6.0. 3. AmberAir Compact CXP. Performance corrections have been made according Eurovent Real Unit test results. 4. Small fixes. 2018-04-27 Program updated to Version 5.9.19 build 4 Fixes: 1. Small fixes. 2018-04-23 Program updated to Version 5.9.19 build 3 Fixes: 1. Small fixes. 2018-04-20 Program updated to Version 5.9.19 build 2 Fixes: 1. Small fixes. 2018-04-17 Program updated to Version 5.9.19 build 1 Fixes: 1. Small fixes. 2018-04-13 Version 5.9.19 Changes: 1. AmberAir range: Added possibility to select air handling units intended for ventilation of pools premises. 2. Small fixes. 2018-04-09 Program updated to Version 5.9.18 build 1 Fixes: 1. Small fixes. 2018-04-06 Version 5.9.18 Changes: 1. AmberAir range. Added possibility to select DBM heat recovery coils. 2. AmberAir Compact CXP. Changed modelbox CD50 data: D1, L1/L2, F9, T3, TB2. 3. Small fixes. 2018-03-30 Program updated to Version 5.9.17 build 3 Fixes: 1. Small fixes. 2018-03-27 Program updated to Version 5.9.17 build 2 Fixes: 1. Small fixes. 2018-03-26 Program updated to Version 5.9.17 build 1 Fixes: 1. Small fixes. 2018-03-23 Version 5.9.17 Changes: 1. AmberAir range. Heatex rotary heat exchangers dll have been updated to v514. 2. Small fixes. 2018-03-16 Version 5.9.16 Changes: 1. Selected AHU report corrections have been made according to Eurovent audit results. 2. Small fixes. 2018-03-09 Program updated to Version 5.9.15 build 4 Fixes: 1. Small fixes. 2018-03-02 Program updated to Version 5.9.15 build 3 Fixes: 1. Small fixes. 2018-02-27 Program updated to Version 5.9.15 build 2 Fixes: 1. Small fixes. 2018-02-26 Program updated to Version 5.9.15 build 1 Fixes: 1. Small fixes. 2018-02-23 Version 5.9.15 Changes: 1. AmberAir range. Controllers RREG and RHX2M for rotary heat exchangers changed to DRHX. 2. Small fixes. 2018-02-20 Program updated to Version 5.9.14 build 3 Fixes: 1. Small fixes. 2018-02-15 Program updated to Version 5.9.14 build 2 Fixes: 1. Small fixes. 2018-02-09 Program updated to Version 5.9.14 build 1 Fixes: 1. Small fixes. 2018-02-02 Version 5.9.14 Changes: 1. AmberAir range. Flaktwoods CENTRIFLOW (GPPM) fan range has been changed to more efficient CENTRIFLOW 3D (GMPM) fan range. 2. Small fixes. 2018-01-26 Version 5.9.13 Changes: 1. AmberAir range. Hoval rotary and plate heat exchangers dll have been updated to v2.0.1.0. Some plate gaps have been discontinued for plate heat exchangers. 2. Small fixes. 2018-01-24 Program updated to Version 5.9.12 build 5 Fixes: 1. Small fixes. 2018-01-19 Program updated to Version 5.9.12 build 4 Fixes: 1. Small fixes. 2018-01-18 Program updated to Version 5.9.12 build 3 Fixes: 1. Small fixes. 2018-01-16 Program updated to Version 5.9.12 build 2 Fixes: 1. Small fixes. 2018-01-12 Program updated to Version 5.9.12 build 1 Fixes: 1. Small fixes. VentMaster V5 Revit 2016 Plug-In. Hämta den senaste mjukvaruversionen av MB Gateway. 2018-11-02 Version 1.11.3 Bug fixes 1. Stand-alone Advanced web page. 2. Errors and Warnings via email configuration. Features 1. Updated Adjuster/Service web pages to support MCB 1.23 version. 2. Added Multihpc web page. 2018-07-10 Version 1.11.2 Bug fixes 2018-06-29 Version 1.11.1 Bug fixes 2018-06-22 Version 1.11 1. Support for MCB 1.20 firmware 2. AHU multicontrol improvement 3. Alarms and warnings notification system by email settings 2017-09-15 Version 1.10 1. MCB setpoint mode now shows temperature and fans percentage speed in home menu 2. Italian language fixes 2017-06-08 Version 1.09.2 Bug fixes 2017-05-22 Version 1.09.1 Bug fixes 1. PRV service part connection issue 2017-05-19 Version 1.09 2017-05-04 Version 1.08.3 Small bug fixes 2017-04-26 Version 1.08.2 Small bug fixes 2017-04-12 Version 1.08.1 Bug fixes 1. Modbus slave device recognition issue; 2017-02-21 Version 1.08.0 USER WEB: 1. Features 1.1 New alarms, their translations (LT,EN); 1.2 Enable/Disable hostname removed, hostname is now always enabled; 1.3 New advanced option in mb-gateway configuration window; 1.4 New menu with paging; 1.5 New humidity control page; 1.6 Dryness protection moved from “other“ to humidity; 1.7 Winter/Summer humidity control, boost control in humidity page; 1.8 New CO2 level page, select CO2 level option (only shown on specific settings); 1.9 Multicontrol – save all function; 1.10 Multicontrol – air handling unit count limited to 32, addresses 1-247; 1.11 Connection lost message of air handling unit is not found; 1.12 Percentage control, only active if fixed speeds option is set to “no”; 1.13 If percentage control is > 20, option to control temperature is shown. 1.14 MCB 1.10 support 2. Bug fixes 2.1 DHCP enabled/IP change sequence changed; 2.2 Bug where you couldn’t change password; 2.3 Other bugfixes (dhcp, multicontrol, tooltips, icons); ADVANCED WEB 1. Features 1.1 Multilanguage 1.2 Graphs: - Real time graphs - Time inverval graphs - 30 min interval graph 1.3 Logger variables: - Add/edit/delete variables 1.4 Logger group: - Add/edit/delete group 1.5 Transceiver: - Add/edit/delete transceiver variable - Add/edit/delete transceiver node 1.6 Support Bacnet/IP protocol configuration 1.7 MB-GATEWAY general configuration 1.8 Time synchronization MCB SERVICE/ADJUSTER WEB - MCB 1.10 support 2016-07-01 Version 1.06 1. Added DHCP support 2. Other bug fixes Version 1.05 - Version 1.04 1. Added a feature, so when CO2 or RH sensor values are lower than 1%, they aren’t shown in the main/status pages. 2. Fixed a bug where it would be possible to set the date in an incorrect format, for example, the date 31/02/2016 is for a month that only has 29 days; after the fix, the save button gets disabled, before the fix, the next month would be recalculated and the result would be 02/03/2016. 3. Added an SAF_flow and EAF_flow display near the status window in PRV. Version 1.03 1. Added multi-unit support. 2. Changed the design of the MB-gateway setup. 3. Multi-unit selection added to the main ventilation-control page and MB-gateway setup. 4. Multi-unit settings added to the MB-gateway setup. 5. MB-gateway configuration separated from the MB-gateway setup on a different page. 6. Added loading text message when selecting a new Unit in the ventilation control. Version 1.02 1. Fixed a bug, where some critical alarms weren’t shown. 2. 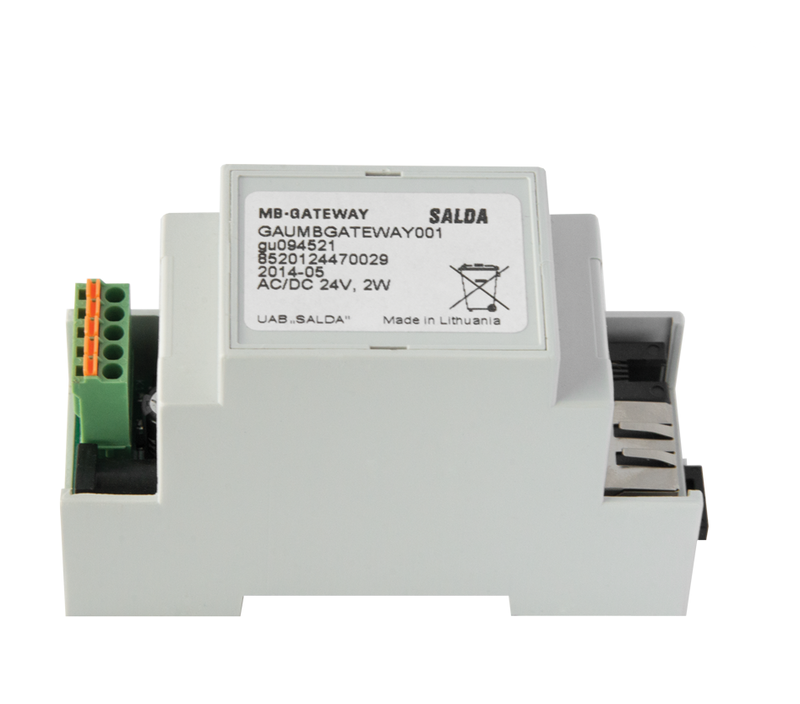 Added SE, FI, DE translations for the MB-gateway. 3. Fixed a bug, where clicking reset in the alarm window wouldn‘t display the loading screen properly. 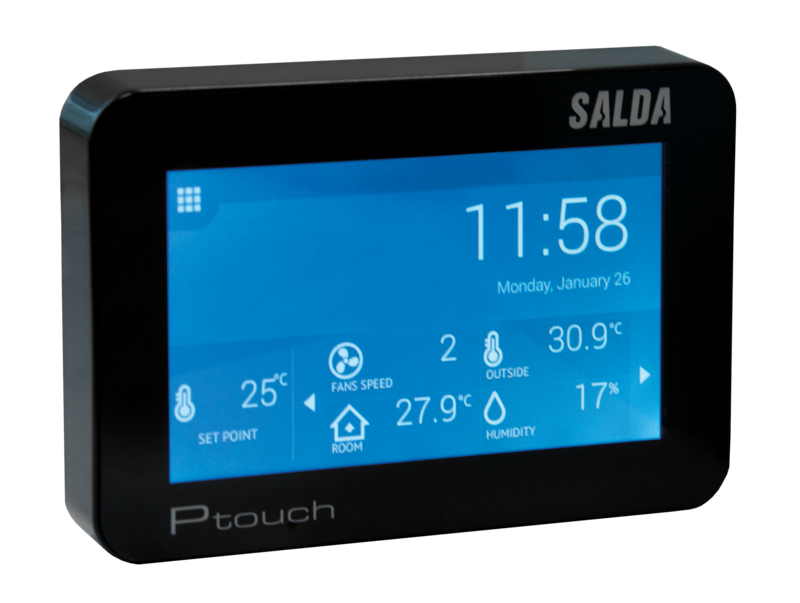 Hämta den senaste mjukvaru versionen av Ptouch kontrollpanel. 2016-06-23 Version 1.01.3 1. Addedd MCB Full recirculation in MENU > Setpoints Version 1.01.2 - Version 1.01.1 1. MCB Date and Time, fixed bug for not setting time MCB Show Pa and m3/h for the adjuster when changing airflow values, if the fan’s control type is Pressure or Airflow PRV; 2. Fixed wrong values for the Heatexchanger and Heater types. 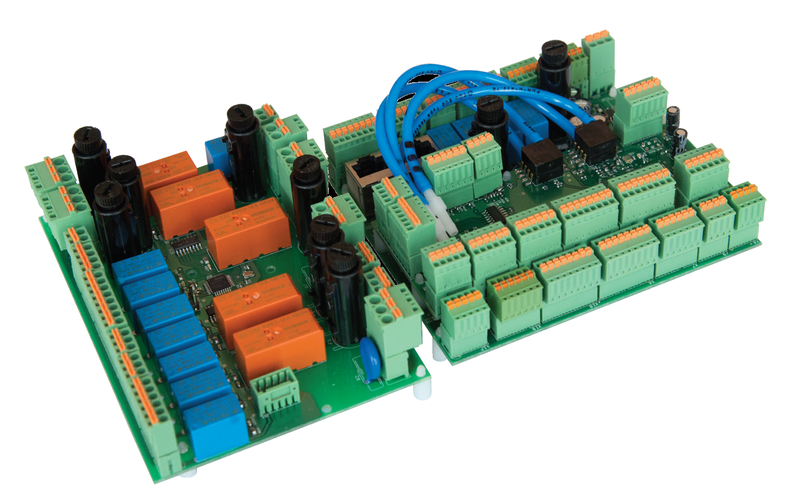 MCB Tool software imports MCB control board settings from MCB to PC and exports MCB control board settings from PC to MCB.